Your first clinic session is one hour and during this time we will spend quite a bit of time going over your symptom history. We really need to do some detective work to find out what may be triggering your breathing behaviours and why. Then we use a computerized device called a CapnoTrainer® to assess your respiratory chemistry, as well as perform other clinical tests that may include Heart Rate Variability, respiratory muscle strength and functional movement patterns. We also observe how and where you are breathing (nose vs. mouth, chest vs diaphragm). 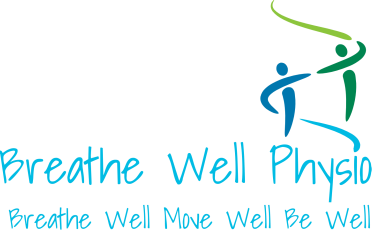 We then discuss our findings with you and explain the reasons for your symptoms, and assuming that breathing is the issue, we will teach you how to control or stop the symptoms from reoccurring. You will get a chance to lie down, put your feet up, and breathe well. All programs are tailor made to suit you, and put you back in control. One week later a half hour follow-up is essential to ensure a correct appropriate breathing pattern is being established; we will also check how you are feeling and what is happening with the symptoms. Remember you will be learning a new habit, and like learning any new skill some ongoing coaching is important to optimize and consolidate your skills. Research suggests it takes 3-6 weeks to form a new habit, and up to six months to consolidate it. Session guidelines run approximately 5-6 sessions over 3-6 months, depending on what is useful for each individual client. Sessions cover more than just breathing, as we are developing a life-long management skills. Other areas covered include developing body awareness, postural balance, lifestyle balance. Treatment progresses from lying to sitting, standing, walking and talking, and with any areas of special interest or need, such as sport, presenting to a group or controlling panic. A key part of physiotherapy is moving – everything from helping you move sputum/phlegm without endless coughing, to moving with exercise, and most importantly, moving air efficiently through your lungs!